The new staff printers will be starting to roll out to University departments from 28th August 2018. 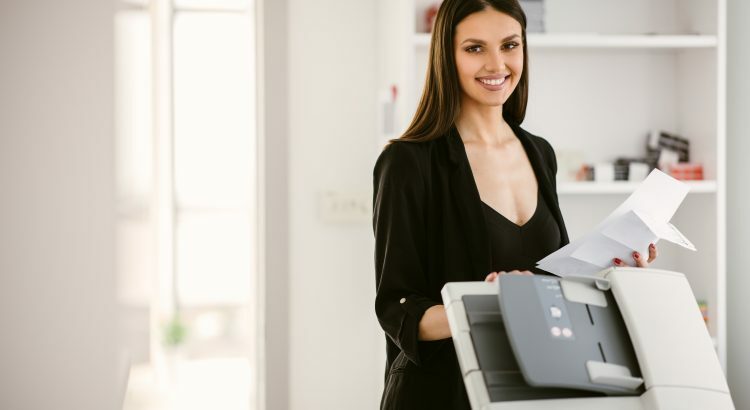 The new staff queues will automatically add to your staff PC and you will be able to begin using these when your new Ricoh MFD has been installed. Up until that point, the original print queues will still be in use. All queues have a default setting of double-sided A4 and either black or colour depending on the queue you have selected. In Microsoft Office applications you can change the default settings as required. Then from the “Frequently used” tab where you can change the following. To change to single sided, turn 2 sided printing “off”. To add a staple, select “Staple” and choose the position you want to staple. To print multiple pages on a sheet, select “Layout” and choose your preferred option. You then log on to your MFD to release your print job. Staff are invited to attend a 20-minute training session on the new Ricoh printers which have been installed across the University. The short bookable sessions will cover training on the print, copy and scan functions on the new Ricoh MFDs. Sessions will also include tips on how to clear typical jams and advice on how to change consumables such as toner and staples. All of the sessions will take place in room Cottrell 2A18 on Wednesday 5 September and Thursday 6 September. Each session will last 20 minutes and will have a maximum of ten attendees in each group. Please book your spot, here. Further information will follow regarding ordering paper, servicing, faults and maintenance.